Meanwhile back at the AFL: Round 15 generated quite a bit of work for the MRP – Match Review Panel. Wellingham had the book thrown at him and will miss 3 weeks and a couple of Eagles also copped suspensions. Players coming back from injury for some teams and as we head to the latter part of the season the race for the 8 is hotting up. I can’t believe we are so advanced through another season. North lost last week in a close one against the Eagles so they will be hunting for a Carlton scalp in this match. The Blues shocked the Magpies in an upset win and this game against North will be a good indication of whether that effort was just an aberration against the arch enemy or whether the Blues are back in some sort of form. These are two of 5 teams battling for 8th position at the moment so you can expect a very tough encounter. I doubt there will be a big margin. Fremantle has a bad habit of losing games like this that can set them up for a tilt at the finals. 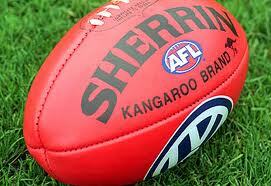 The Dockers are expected to win and that is usually an indication that they will play a Docker Shocker. With respect to tipping you have to follow the form but that has proved an elusive strategy to pin your hopes on. We can but try……sigh! Melbourne is still struggling but has shown glimpses enough to indicate that they might push Fremantle pretty close here. Freo can still win without Sandilands but Melbourne can’t win without Mitch Clark. The Bombers suffered their biggest loss of the season last week against the Saints and the last thing they need is a trip to AAMI to face Port Adelaide who are just as likely to win a game like this. Stranger things have happened but tipping Port does not carry a lot of percentage for accuracy so we have to give Essendon the benefit of the doubt again this week and Port Adelaide is no St Kilda! Loss of some key forwards for the Bombers will mean they have to play well to win against the lowly Power. Records show that the Suns won this game last season in their first shock win but the Tigers must play with the desperation needed to keep pace with the other teams in the race for the finals. A fall here against a winless team would mark the end of the season for Richmond. The Suns just need to keep playing for pride and avoid thrashings. Tigers look ok and the ground is neutral with the game being played in Cairns. The last time Carlton beat Collingwood the Magpies then won the next 10 games and if it takes a loss to the Blues to get Collingwood motivated then that can be taken as a positive. If the Pies win the next 10 they will win the premiership. The Cats have been stumbling a bit this season but like a lot of other teams they seem to find something extra when playing Collingwood. Will it be enough? Pendlebury returns as does Tarrant and the Pies need to show their supporters that last week was just one of those things. The Saints will need to play like they did last week against Essendon and that will ensure a comfortable win against the Lions even at the Gabba. The difficulty the Saints have been experiencing is to be able to put two games like that together in consecutive weeks and as badly as Brisbane played last week they are one of those teams whose inconsistency drives tipsters crazy. They can win this one at home but maybe the Saints can play well enough to stop them? Any margin over 3 goals would be a bonus for the winning team. Some positives happening in the Giants’ camp as they announce their B&F winner will receive the Sheedy Medal. At the time of writing this Sheedy’s coaching future at that club was not announced but the Giants may give him a senior mentoring role if they appoint a younger coach for next season. There’s no doubt Kev has done the job asked of him. On a less positive note for the Giants is that they are in for another hiding. The Hawks are on some kind of roll here and face a Bulldogs team that is not having a good season. Unfortunately for the Bullies that means the potential for another big loss, tempered a little with the loss of Buddy to Hawthorn with a hamstring strain. But even without Franklin there are enough Hawthorn players to kick plenty of goals to put the Bullies back into their kennel for another week. This is certainly the game of the round with 1 V 2 on the ladder. The Eagles have suffered some big player losses this week that can be added to their long term injuries they have been playing with albeit successfully. The Big ‘Q’ and Luke Shuey have both been suspended and Beau Waters is injured. Those outs might be enough to swing the game Sydney’s way. Expect a tight, close contest and go with the home team when in doubt.